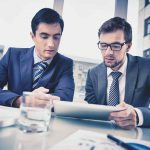 At his “Best Year Ever” weekend retreat, business philosopher and teacher Jim Rohn famously offered two pieces of advice on communication success. Sounds simple but there’s actually a lot behind what he said. How often have you waffled a response in a meeting to a question because you started talking before working out out what to say? (Sort of like building an airplane whilst flying it…) Or started writing a document first without thinking about what should go in it or the specific point you wanted the reader to get? A lot of us tend to do this in business because it’s the easy way out. Particularly when we have managers breathing down our necks asking when it will be ready. Yet this communication piece “waffling” can turn away an audience by boring or even annoying them. Or confusing them enough to do the wrong thing despite the best intentions. It does not lead to communication success. When Jim Rohn innocuously said you first need to have something to say, I believe he was referring to the substance that sits behind something you are saying or writing. It involves all the strategic thinking that goes into crafting a message that is “something” to say or write about. That includes activities like clarifying a purpose, understanding the audience, choosing the best medium and drawing on the right mix of subject matter. But how do you get to the point of having something of substance to say? You simply need to dedicate up-front time to gather the right information that will help you craft a message that supports your purpose, speaks to the right audience, uses the right medium and contains relevant and appropriate content. The amount of time you spend is relevant to the size and importance of the message or piece of comms. I’ve sat in meetings for hours working out specific messaging for critical comms. And just moments for shorter, less important messages. The nature of business today is that we are expected to produce instant fixes to all sorts of problems. That attitude flows into comms where we are expected to start writing or speaking immediately. So it actually feels difficult taking time to plan and think because it’s difficult to quantify or make tangible. But believe me when I say you’ll save loads of time when you plan out a message that’s worth delivering. Yet having something important or significant to say is not enough. What’s the point of a good idea or helpful information if no one has an opportunity to consume it? You need to deliver it. Deliver it well. Perhaps this is real arts and craft we’re talking about here – except the other way around. You need to use your craft to create a great message as part of a communication outcome and then use your art of delivery to deliver it well. There’s a real art to delivering your message, whether you’re writing for paper, web or email or delivering to camera or in front of an audience. Each is a different media that requires different artistic techniques. Writing calls for using the best words in sentences constructed to fit paragraphs that make a good point. Video calls for a good sequence of moving pictures layered with audio and text. Whilst speaking to a crowd also requires a real, physical connection. Most of us typically warm to one media over an over. At the risk of stereotyping to make my point, an introvert might prefer sitting in a corner and writing their ideas instead of speaking in front of a crowd. Whilst an extrovert might love the energy of a crowd to help them communicate well but hate sitting down in a room and writing a blog. Yet the challenge today for an entrepreneur, leader or business professional is being able to switch between delivery modes and quickly massage the “something you have to say” so that it works well in the appropriate medium. For every communication piece you have control over. 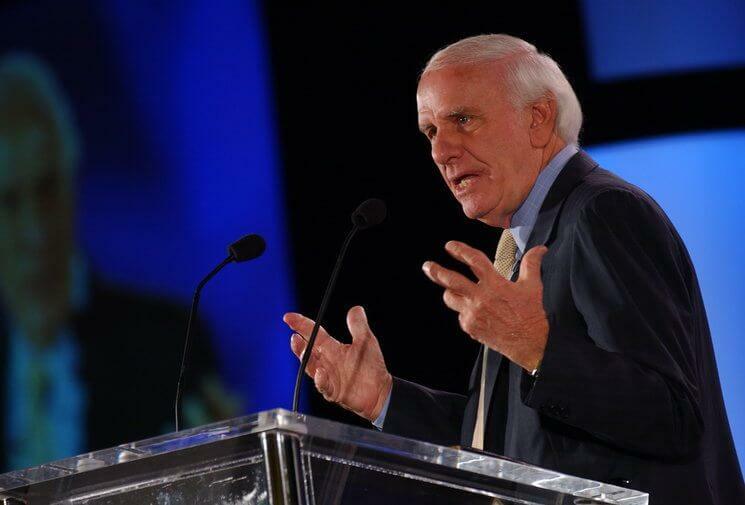 That’s why Jim Rohn’s simple advice for communication success is so relevant today. You must be be clear on your message as a first step to communicating “something”. This means thinking hard through your purpose, audience, subject matter and media. Then aligning this together so that you have something clear and of substance to say.How much time should you spend on this? Time spent is relative to the importance and size of your communication. A value proposition is a big thing even though it may only be a paragraph. It requires time to get right. A 500 page company guide may not be as important to attracting customers as a value porposition is, but it’s a big investment that also requires a lot of thinking time.An interesting byproduct of this step is to discover some incomplete business thinking. It’s hard to write about a product if you really don’t know what it does. Or articulating your business mission if you and your directors each have a different idea. Poor comss or messaging can be a red flag to poor substance. You need to develop and practise your art of deliver across all media, not just the one you feel more comfortable with. Successful communicators in business today need to seamlessly write down their ideas, speak to camera or in front of an audience, and share their message seamlessly over conference calls and webinar. 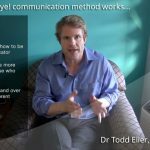 So getting more practical, how did your last piece of comms go – did it pass the Jim Rohn comms test? Did you actually have something worth saying before delivering it? Something that was relevant to your purpose and appropriate to your audience? Something that was clear in your mind and compelling? Were you clear on this? Did you deliver it well? Taking time to have something to say and then developing your innate skills to deliver this well can be scary to most people. Particularly someone who may have had a bad experience delivering a message that failed to deliver what they had hoped. But it is possible to have something great to say and develop the natural skills to deliver it well on paper, the web, in videos and webinars or in front of a live audience. All you need to have is a proven method that guides you over time and helps you improve with each opportunity. Also the right mindset so you can appreciate failures and know how to use them as powerful lessons for greater communication success next time around. Research consistently shows that poor communication costs businesses lots of money whilst great communication grows communication. Take time to make sure your message has substance so that you have “something to say”. Consider important things like your purpose, audience, subject matter and so on. Know what you’re saying before you open your mouth or put pen to paper or fingers to the keyboard. Use the power of your chosen medium to deliver that message well. If writing, choose the right words and put them into strong sentences in paragraphs that make the right points. If video, choose the right images, audio and text that will get the message across. Taking the time not just to prepare a message well but to become a great communicator who always has something great to say and can deliver it well is not only going to grow your business but increase your own success!